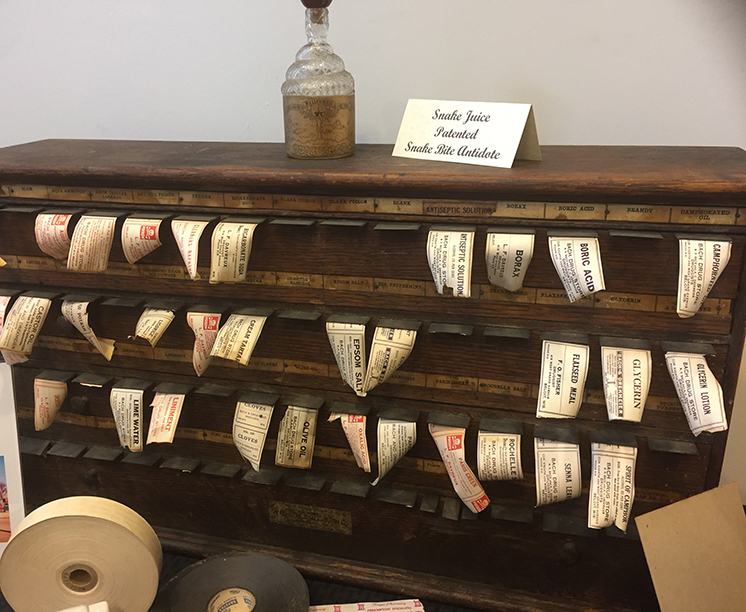 Earlier this month, AIHP staff members attended the release party for a new book about the history of independent pharmacies in Beloit, Soda Fountains to Robots: The 100-Year History of Grand Avenue Pharmacy and the Era of Independent Pharmacies in Beloit, Wisconsin. 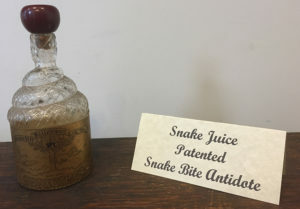 Although the book details the history of local drugstores in the area, it is primarily an in-depth history of a pharmacy that occupied the corner of West Grand Avenue and 8th Street and served the community in Beloit for more than 100 years. 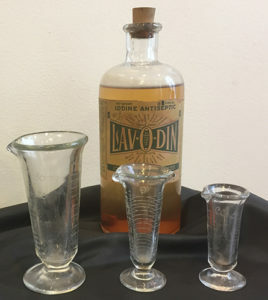 Originally founded as Davreux Drug Store in 1910, the business was also known as Bach Drug Store (1923-1963), Finger Pharmacy (1963-1982), Grand Avenue Pharmacy and Grand Medical Supply (1982-2002), and Aurora Pharmacy (2002-2013). The meticulous 154-page book was written by Connie Sveum, the wife of former Grand Avenue Pharmacy co-owner Jerry Sveum, and is available for purchase from the Beloit Historical Society. 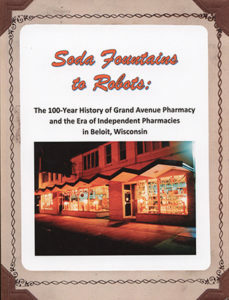 Soda Fountains to Robots details the history of the pharmacies that were located at the corner of Grand Avenue and 8th Street and traces the changes that occurred in retail and community pharmacy in the century after 1910. The book discusses the rise and fall of soda fountains, the changing nature of pharmacy practice, the establishment of home health care and medical supply departments at the drug store, the role of pharmacy technicians, and other aspects of the business of drug stores during these years. The book also relates the story of the close-knit staff that operated the pharmacies. As the author Connie Sveum writes in the book’s introduction: “one of the most important themes of this story is the extraordinary bond that existed among the Grand Avenue Pharmacy staff. The team felt like a family and often referred to themselves in that way.” The book contains plentiful photographs of the businesses, the people, the products, and the events associated with the store. 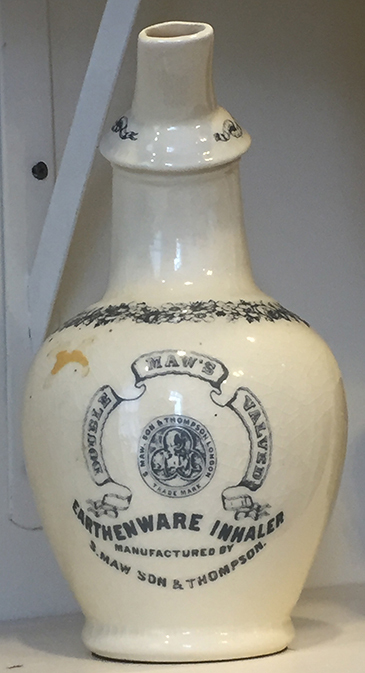 The images ably illustrate the story of this long-time community pharmacy and of the pharmacists and staff members who were dedicated to serving their patrons. The book release party was held at the Beloit Art Center, and in conjunction with the book launch, the Art Center also hosted a display of antique pharmacy artifacts from the collections of Art Carl, a former co-owner of Grand Avenue Pharmacy, and Elroy Wirtz, a local retired pharmacist. 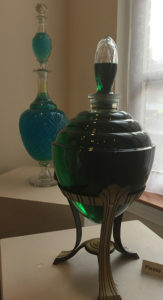 The exhibit included artifacts associated with the Grand Avenue pharmacy, as well as pharmacy antiques from around the country. 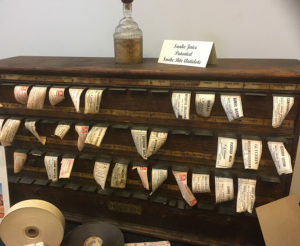 Label Cabinet from Bach’s Drug Store. Bach’s Home Made Ice Cream and soda fountain glass from Bach’s Drug Store. 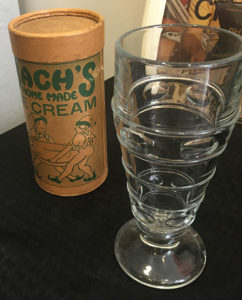 Advertising sign for Bach’s Drug Store featuring Sonora Phonographs. 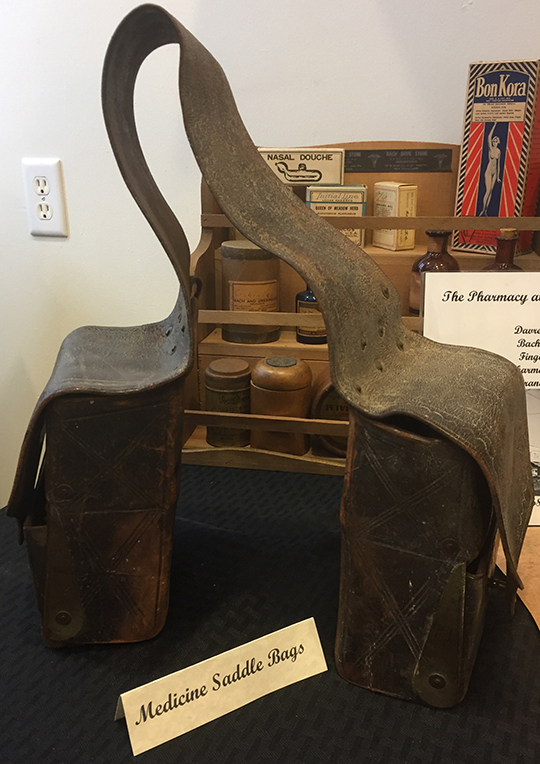 Medicine saddle bags with other pharmacy artifacts. Lavodin Iodine Antiseptic patent medicine with glassware.